Allergies can be a challenge, and pets can get into a vicious cycle of using antibiotics and steroids. Symptoms improve on the medications then return as soon as the medications stop. Eventually the medications lose their effectiveness and can have harmful side effects. The most helpful treatment plan for your pet is to use a holistic approach for long-term success! Pets with allergies need a low carbohydrate, hypoallergenic diet. Pet owners can become discouraged because they may have already tried several diets. Many prescription, "hypoallergenic," and even grain-free diets still cause pets to scratch, because they are too high in carbohydrates or are hard for some pets to digest. It's important to eliminate all potential food allergens AND keep the carbohydrates to a minimum. 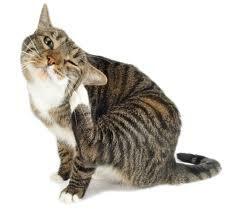 Cats especially may have symptoms such as diarrhea or asthma along with the itching. Foods that are potential allergens are different for dogs and cats. 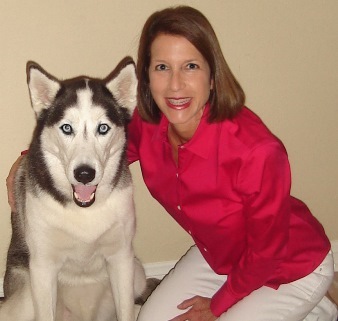 AskAriel has helped thousands of cats and dogs with skin and allergy problems with much success. If you include your dog's diet and health issues on the order form at checkout, a diet appropriate for your pet will be included on the packing slip along with the product directions. Pets can feel miserable when they are itchy. An itchy dog will lick, chew and pull out their hair. Skin problems are tricky, and extremely allergic pets will usually have flare-ups every now and then. However, you can control allergic reactions and symptoms with diet and using a few natural supplements. AllerEaze + Power Probiotic - Reduces histamine response and acts like a natural "benadryl". Power Probiotic works synergistically with AllerEaze to support your pet’s immune function and reduce allergy symptoms. Since steroids and antibiotics can weaken immunity by killing off friendly bacteria, using Power Probiotic is essential to help prevent recurring infections. These two formulas are the best home remedies for environmental allergies. Proaller + NotaSAN - These homeopathic drops can reduce itching, scratching, licking and chewing. They work best when used together. NotaSAN is very helpful when pets have an allergy “odor”, red spots, ear infections and hot spots. Many pets can stay up all night itching and chewing. Proaller has a calming effect so it is very helpful to give them at bedtime. K9 Yeast Defense - Some dogs with allergies can have symptoms of yeast overgrowth, such as chronic ear infections, odor (even after bathing), itchy ears (even without infection), licking at the groin, and scratching the face and armpits. The ears are an extension of the skin, which is why many pets with allergies will also have ear infections and itchy ears. K9 Yeast Defense can be used along with any of our allergy formulas to prevent chronic yeast infections. It also helps to reduce ear infections, ear scratching and itchy ears. How it works: K9 Yeast Defense contains natural anti-fungal ingredients, such as caprylic acid, Pau d'arco and oregano, that kill off yeast and help rebalance the intestinal tract. Using the K9 Yeast Defense along with the Power Probiotic kills off the yeast overgrowth while the Power Probiotic replenishes with healthy, friendly bacteria. Use these two remedies along with either NotaSAN + Proaller (for pets with intense scratching and licking) or AllerEaze (pets with environmental allergies) to reduce hot spots, scratching, itching, hair loss, odor and ear infections. Amazing Omegas - This is the master remedy for a dog or cat with dry, itchy skin. Amazing Omegas is simply the best pet fish oil made from anchovies, sardines and mackerel, giving dogs and cats a lustrous coat. Compare the omega3 fatty acids with other brands, and you will see its therapeutic dose. A little goes a long way. Bottles are packed in glass bottles to prevent toxins from plastic leaching into the oil. Many dogs like the taste of Amazing Omegas--be sure to watch the fun video on the Amazing Omegas page. Amazing Omegas is very helpful for pets with hair loss due to allergies. Silver Immune Support- Silver Immune Support is an all-natural, easy to use remedy to help your pet recover from a bacterial infection or viral flareup. Pets with skin issues and allergies often need both fungal and antibacterial support. 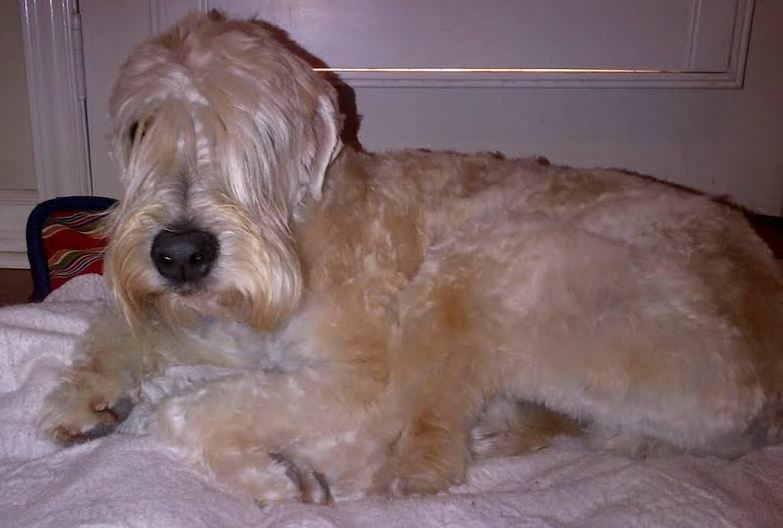 Allergy season, especially ragweed growth, can make your pet very itchy. Keep itchy pets off the grass as much as possible. Consider using an indoor air purifier. Using a quality air purifier in the room where your pet sleeps can be very helpful, since pets can be itchiest in the morning. Using an air purifier can help a pet sleep much better throughout the night. During the summer, use topical flea and tick control products as many pets are allergic to flea bites.